Today I have a couple of updates that you might enjoy. Today's post contains a few small updates, and a short section inspired by Hawaii's recent efforts to promote marine debris education. In the lack of storm fronts and wild weather, the debris wash up has been relatively calm in the last few weeks off of the Oregon and Pacific coasts. However, verbal reports of debris fields floating offshore are being reported by fishermen. These include floats, wood, refrigerators, and other larger appliances. NOAA hasn't updated its debris model since last month, but the heart of the modeled debris field is past Hawaii and heading north-northeast up the shores of North America. Check out the NOAA graphic here. If you spot debris inshore or offshore, please report it using the methods listed on my Resources Page! These data are especially helpful for oceanographers and scientists as they document this important event. For those of you who have been keeping up on the dock that washed up on a La Push beach, in Washington State, it has officially been confirmed as tsunami debris by the Japanese government. 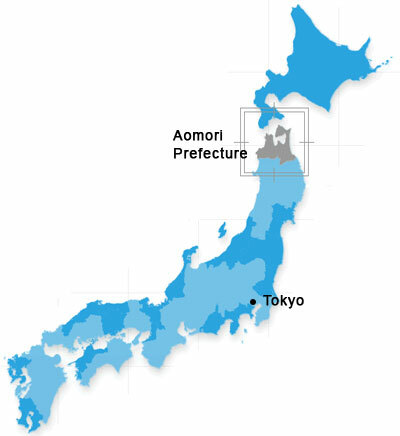 A plate with a serial number identifying it as coming from the Aomori Prefecture of Japan, the same prefecture where our original news-worthy dock originated! Scientists at Hatfield Marine Science Center in Newport, Oregon are becoming regular experts on tsunami debris. Having identified species on the original Agate Beach dock, OSU scientists Jessica Miller and John Chapman have also identified several invasive species on the Washington dock similar to species found last year. Adding to their new debris celebrity status, Drs. Chapman and Miller were interviewed on NBC Nightly News regarding their finds. Watch the video below. Recent surveys have revealed a variety of larger debris found its way onto Hawaiian shores. Several bouys washed ashore along with appliances, including a full refrigerator and refrigerator parts. As a reminder of the tsunami's destruction on homes and communities, large pieces of housing insulation (up to 4x4 feet) have also washed ashore. For the most part, the larger wave of debris should have already passed by Hawaii, but debris should still slowly accumulate on shores over coming months. The Hawaiian government has taken some interesting steps to use tsunami debris as a reminder to citizens that tsunami debris is a much larger problem of marine debris. Perhaps they are on the right track. While tsunami debris is often large, obvious, and media-worthy, regular marine pollution is an ongoing and serious problem. According to the US Coast Guard, more than 14 billion pounds of trash go into our oceans annually- this includes tires, cardboard, plastics, cans, balloons, and plastic bags. These items end up washing ashore on beaches, sinking indefinitely, or breaking down into dangerous components which can be swallowed or entangle wildlife. The most dangerous items aren't large- they are small and easily swallowed. 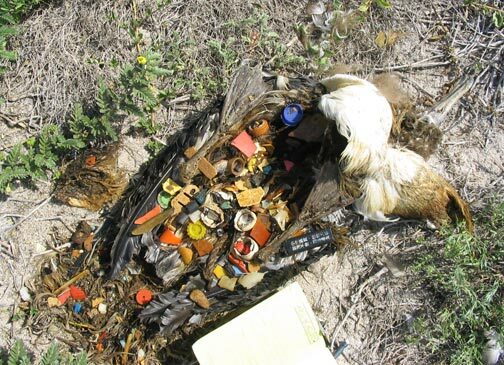 Repeated finds of dead marine animals (notably albatrosses) with large amounts of plastic in their stomach have demonstrated the extent of the problem. What can you do to reduce marine debris? Some very simple steps will make a big difference. Think about where your trash goes. What happens when you throw away that plastic bag, water bottle, or let that celebratory balloon go? Bad: Solid plastics don't degrade- believe it or not, that water bottle you threw away will take up to 1,000 years to degrade! Good: A better option is to recycle those bottles and cans, but the best option is to reduce your use of them whenever possible. Best: Get a reusable bottle. A reusable water bottle can save hundreds of plastic bottles. Bad: Plastic bags have a tendency to drift, even when thrown away, and end up in the environment. Good: Instead, take your bags to your local recycling center to recycle as 'plastic film' or most grocery stores (including Walmart) have a bag recycling bin at the entrance. Save them up, and take the lot on your next grocery trip! Best: use reusable shopping bags. Is it really worth wasting a plastic bag that you use for 30 minutes on your way from the store to your home? If you only have a few items, carry them out. Bad: Who hasn't let a celebratory balloon or two go? There's always something fascinating in watching a balloon drift up, up and away. But where does it go? Truth is, many balloons might end up in the ocean, in the stomach of an animal, or tangled on a tree. Not really worth celebrating. Good: Don't let your balloons go! When they start to wither, pop them, and throw them away. Best: Balloons are generally wasteful and bad for the environment overall. Even balloons thrown away might end up in the wrong place. Why not buy or pick some flowers for your special someone? Pick up litter. Litter on the beach ends up in the ocean and being broken down into tiny pieces which are almost impossible to clean up, and end up in the stomachs of fish, birds, and other animals. Recycle what you can. Make sure that bottle has a second reincarnation, and doesn't sit in the landfill for the next 999 years and 364 days. 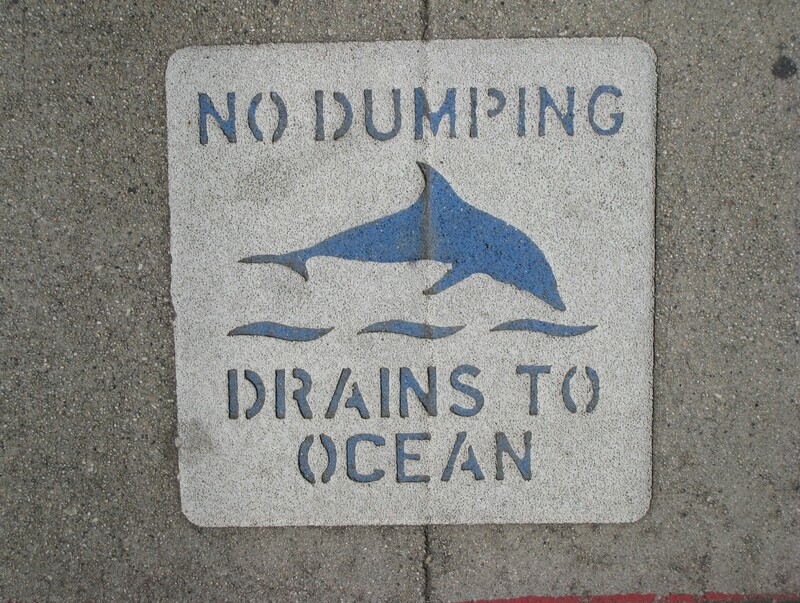 Don't dump into storm drains. Remember that nearly everything that is dumped into storm drains ends up in the ocean or river system where you live. Yuck! Be a good example. Participate in local beach and litter cleanups, and pick up trash when you see it. A little bit of effort from a few people goes a long way! Thinking about where your trash goes can start a chain reaction. I hope this post was enjoyable, and that it gives you some thoughts to ponder. A small shift in mindset can make all the difference.